5 Barrel Project is a new initiative developed by Black Sheep, producing a range of new wave beers that have no constraints on style, abv or price. 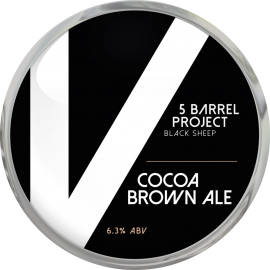 The beers are brewed on a 5 barrel pilot kit by a small number of brewers who have sole responsibility for the beers, sales and marketing. With availability of the beers limited to 20 kegs, they will rarely be seen outside of our local area. If you’d like to stock our beers, message us directly on our social media channels, we’ll be happy to talk!